Why MOOCs are becoming more and more popular? Let's have a look at the 3 primary reasons for their increasing popularity. The advent and growing popularity of video-based learning have led to an unprecedented surge in Massive Online Open Courses (MOOCs). What differentiates video-based learning from conventional eLearning has been covered in another article. MOOCs are becoming popular day by day, but not all MOOCs deliver learning the same way or promise to outperform the conventional eLearning vista – as Bill Ferster argues in his article, "… the average MOOC completion rate is 5%". However, the essential paradigm of MOOCs as a superior way to deliver learning to a wider audience is evidently gaining acceptance. This article deliberates on the three primary reasons that go into making MOOCs so popular. Open edX and Coursera are among the most popular open platforms to host MOOCs. These platforms have provided a new world of digital learning not only to the learners, but also to the course owners and Subject Matter Experts. What this essentially means for course owners and Subject Matter Experts is more resources and freedom to curate cognitively endowed courses with minimum effort. In addition, open platforms such as edX enable the course providers not only to create and offer high-definition MOOCs but also to customize their learning platforms and augment their brand image. It wouldn't also be an overstatement to claim that open platforms also open a wide range of business opportunities for independent MOOC service providers. For the learners, it’s a jackpot – most courses and learning material are available at no cost, you pay only if you wish to validate your learning and earn a certificate. That should explain the low average completion rate of MOOCs, to some extent. Course completion is distinctly tied to learner motivation, and while many learners may be drawn towards a well-curated MOOC, they may lack the motivation to eventually pursue it to completion. The 5% that eventually complete MOOCs comprise learners who are motivated enough to pursue them to completion, be it for any reason. A differentiated pedagogy, which essentially departs from conventional eLearning pedagogy, is another primary reason for this increasing popularity of MOOCs. While most MOOCs don’t go beyond recorded lectures or PowerPoint slides, the essentially successful MOOCs are carefully curated to embody all walks of differentiated pedagogy and learner engagement. Most MOOCs are designed to be delivered synchronously; however, the differentiated ones do recognize the fact that a large section of learners would appreciate a self-paced asynchronous learning path. It is this recognition that essentially makes a difference in the overall instructional strategy of successful MOOCs. Engaging a synchronous learning audience is at the meticulous discretion of the instructor to a large extent – a skill that makes a good instructor standout from a not-so-good one. However, engaging an asynchronous learning audience demands a curation that does not rely only on instructor skills. To this effect, MOOCs that do not solely rely on screencasting or recorded lectures, but curate a rich cognitive blend of learning resources ranging from reading material and practice exercises to interactivities, user forums, and community interaction platforms have a greater potential of being appreciated by asynchronous learners. Bill Ferster makes another notable observation in this respect: "…emerging media forms tend to replicate the style of the media that had come before it, so naturally the most popular use of video in education is recording the classroom lecture just as early motion pictures were filmed theatrical plays". In essence, successful MOOCs must depart from conventional pedagogy and curate the instructional strategy on differentiated pedagogy that caters to engage both synchronous and asynchronous learners seamlessly – not just replicate conventional eLearning or video-based learning pedagogy. A typical example of a differentiated pedagogy in MOOCs can be found in the The Rise of Superheroes and Their Impact on Pop Culture MOOC on edX. The MOOC, a 6-week course that taught learners about the birth of the first superheroes, was curated by ExtensionEngine, an Open edX service provider. Two elements that make this MOOC outstanding are practically embedding the "learning by doing" pedagogy and enhanced social media collaboration options in the MOOC. Therefore, the learners are motivated to design "their own superhero, design a super villain antagonist, constructed a brief scene, and last, sketch a few sample panels of their original comic concept". Enhanced social media collaboration was achieved by using the social media (Facebook and Reddit) to expose the learners to a community of experts in the realm of comic books – artists, writers, history buffs, teachers, and so on. While the learning by doing pedagogy took care of a differentiated instructional strategy that generally departs from normal MOOCs, the social media integration aspect took care of engaging the asynchronous learners. Some of the most popular and successful MOOCs are the ones being offered by leading universities and educational institutions like Massachusetts Institute of Technology (MIT) and Stanford University. 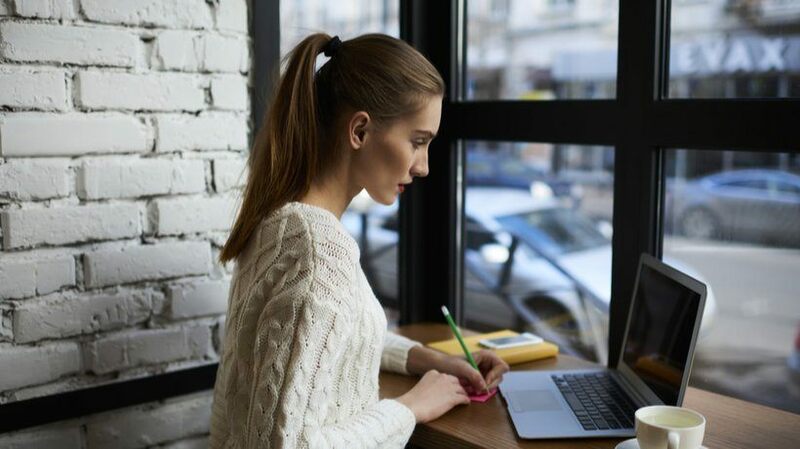 While the MOOCs developed by these course providers pledge a high level of instructional and technical authority and credibility, they also promise eclectic opportunities for career advancement, unlike many conventional eLearning courses. This explains precisely why programs such as MicroMasters Certificate, Professional Certificate, and XSeries Certificate offered by Open edX are so popular among MOOC learners. While these programs are no substitutes for professional university/higher education, they incontestably go a long way in supplementing a degree and advancing the career prospects of a learner. The trends point to interesting futuristic analytics where a number of successful MOOCs may be reconciled as a guiding parameter to reckon the rank and overall international accreditation of universities. Many individual course providers have also been able to make a difference in the world of MOOCs; though my personal observation reveals that the popularity of specific instructors, rather than parameters such as differentiated pedagogy, has made such MOOCs successful. MOOCs have the potential to make a difference where conventional eLearning has evidently slopped off. Open MOOC platforms and the ease of curating MOOCs sanctioned by advances in educational technology further predict a promising future for MOOCs. However, the parameters for success and popularity of MOOCs evidently, and eventually, rest on the key factors that define the success of any other learning platform/mode – a differentiated pedagogy that drives the overall instructional strategy and enhanced learner motivation and engagement to ensure course completion.